Travel can sometimes be inspirational and bring light to others – it’s not just about tourist sights. 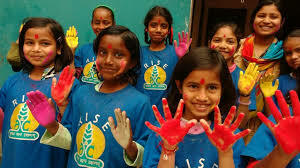 Take our Angel Holidays ‘Exotic Marigold’ experience where they’ll be given access to help street children or kids suffering from HIV for example. They can teach these toddlers, take them for a walk in the park, make lunch for them, and generally bring a little British sunshine into their lives. Whilst 2019 is full, if you might like to come next year, let us know. Whilst it’s difficult to assume anything, overseas travellers might consider taking $US on their holidays to exchange rather than the £UK. 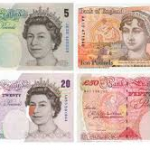 When Brexit was announced around two years ago, in Asian countries it was difficult to exchange the British pound, as each day the currency was losing value. An exchange office for example, might lose money by giving you an exchange rate one day, that drops significantly the next. Many bureaus would not take pounds. 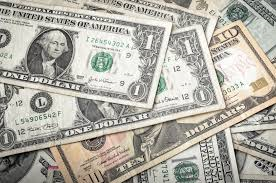 Whilst it’s impossible to know what will happen to exchange rates or the stability of the Pound around Brexit, those travellers wishing to minimise their risk might consider the dollar. 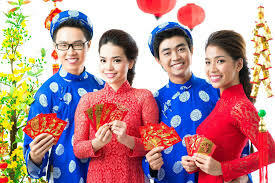 The 5th February represents New Year in many Asian countries including Vietnam – where we travel in April. It’s an ancient ritual following the Lunar calendar which has twenty nine and a half days per month – the Luna year around 354 days, thus losing 11 days each year compared to the Gregorian calendar. Many religious festivals still follow the ancient Lunar or solar calendar system – this s why Easter for example, falls on different times each year. 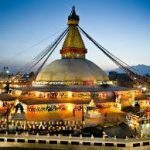 Nepal, another country we will be visiting this October, also uses the Lunar Cycle, but unusually they have several different new years including Buddhist, Solar and Western – the Nepalese like their festivals! New Year in Vietnam is called Tet, it will take place this Tuesday; it’s the biggest event in the Vietnam. (By the way the Vietnamese language only has one syllable per word – hence the more accurate description Viet (veet) Nam). Lunar New Year is also celebrated in China (simply known as Chinese New Year) and the many China towns in Western cities will be celebrating. But for now back to Viet Nam; where celebrations will shortly begin. Businesses will close, families will get together, and quite a lot of beer will be drunk, under a full moon. Happy New Year! For those coming with us to India, our 16 page guide on the trip is now available. Like all Angel tours, we provide a comprehensive guide on each location enabling you to get the most out of the holiday. 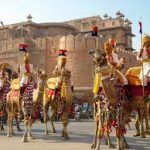 Our India tour is quite special in that, its the last time we’ll visit the Pushkar camel fair, the largest on earth – and quite an experience. Camels still play an important role of life in Rajasthan, it’s forbidden to kill them and many are decorated in bright colours for the festival. Trading takes place too, where a camel (that can live a good working age up to 20 years) costs between $2,000 – $5,000. It won’t be too long now, and they’ll be wandering around in the sunshine through the busy streets of Kathmandu; the end of the ‘hippy trail.’ Next it’s Bhaktapur – an experience as if stepping back in time (the city was used as the setting for the movie ‘Little Buddha’). After we’ll drive south to the Indian border (just 15 miles away) where we’ll ride elephants into the bush, sail down a jungle river, as well as perhaps, enjoy cocktails one or two evenings as the sun sets over the water. Next it’s Lumbini, cycling (or taking a rickshaw) around home of the Buddha, before driving through the mountains to Pokhara below the Himalaya. Did we mention many will fly by light aircraft over the Himalayas too? If you want to come on this magical trip in 2019, let us know. 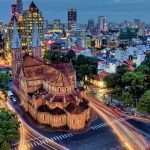 Ho c Chi Minh City is still referred to, by many in its more romantic notion – Saigon. The city was renamed in honour of the communist leader Ho Chi Minh in 1976 – ‘Uncle Ho’ as he was affectionately known, would never had seen this honour, he’d died 6 years earlier. Uncle Ho was an intelligent man, who divides opinion in Vietnam today, particularly whether patrons are from the North or South. He spoke several languages, including Chinese, English, Russian and French, and was one of the co-founders of the French communist party in 1920. He vehemently believed in an independent Vietnam, something he never enjoyed in his lifetime; the Americans left – hastily in panic and confusion – in 1975. His body is interred in Hanoi, lying serenely in a displayed glass case; as if in some gentle dream. He’s taken to Russia every two years for continued preservation treatment. Angel Holidays travellers will be taken to see the body in a solemn military procession – as a fitting prelude to our trip. [This text is taken from the forthcoming Angel Holidays guide to Vietnam]. Brexit and travel money, what should you do? With Brexit taking place next March, it might be prudent to think ahead regarding travel money for any trips around the March/April period. For example, when the UK announced Brexit a couple of years ago, the pound plummeted in exchange bureaus around the world, many fearing a loss and refusing to exchange them. For anyone travelling in the Brexit period, it may be wise to build a bank of Euros or $US and not take sterling. This protects you from the risk of such loss. Playing with currency exchanges, is of course a gamble. But it seems unlikely that the pound will increase in value nearing Brexit, and even in the week leading up to March 29th, rates may be negatively affected. Ultimately the choice is one for each traveller. For those coming with us to Vietnam next year, you may want to consider staying on longer on the paradise island of Phu Quoc. 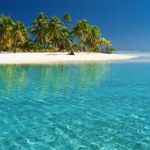 Angel Holidays can arrange this additional package for you, where you fly to the island and enjoy wonderful beaches, great restaurants and a turquoise sea. An altogether wonderful rest after our exciting tour. If you might be interested, please let us know. For those who might want to do something very different next year, you may wish to consider the Exotic Marigold Hotel. Much like the movies and the BBC documentaries that followed them, Angel Holidays will take you on a real life adventure, to see what retirement in the sub-continent will bring. Here is a snippet of our website with details. We’ve just 4 places left and, this unique real life experience, might be covered by UK media. For those wanting to avoid grey skies and shuddering winds this winter, we still have 2 places remaining for our very exotic Laos and Cambodia tour in November. Starting in Thailand, we fly to the golden town of Luang Prabang on the Mekong, take a fleet of local boats through the jungle towards China, ride tuk tuks through the ancient jungle city of Angkor (where ‘Tomb Raider’ was filmed), take a traditional boat expedition through the seldom seen middle of Cambodia to see how ‘river people’ live, and finish in exciting Phnom Penh – the Pearl of Asia. Warm, + 30 degrees weather guaranteed. What are you waiting for? Even Sue Perkins has been here….